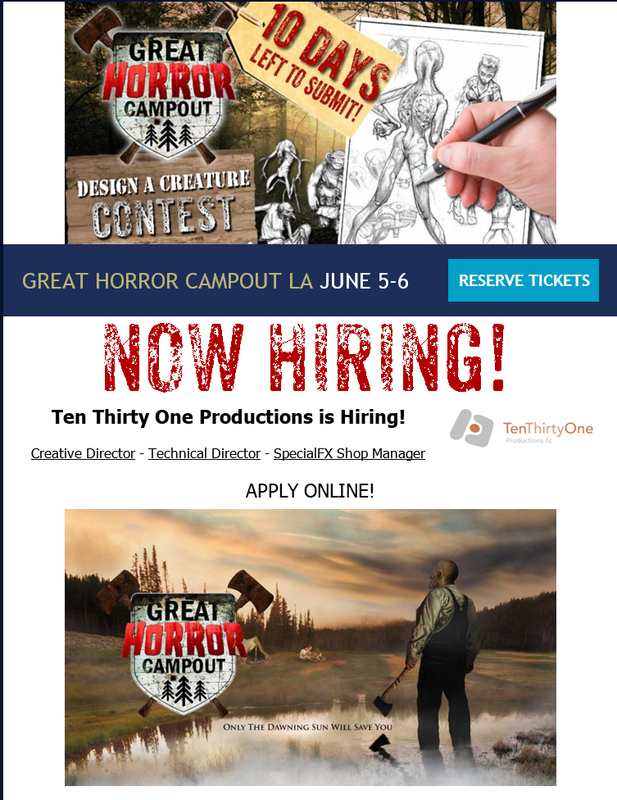 Great Horror Campout – Contest and Job Applications! I know it isn’t related to Demon’s Prize…but it sure is related to monsters and demons and all things horror. This is an amazing, creative company in California. They are AWESOME with what they do at the Great Horror Campout, and if you are looking for a job, they are now hiring! They are ALSO doing a Contest!! Design a creature, and submit it before 10 days from now!